I’ve had a late booking for a felt flower workshop tomorrow afternoon (Saturday 20th) between 2 and approx 4pm at Duckett’s Grove. The cost is €25 per person including all materials and participants can expect to make three beautiful flowers each to take home with them. Please let me know if you’d like to join us as I have a couple of places available, it should be FUN and I have some gorgeous new colours of both silk and merino for everyone to work with!!! 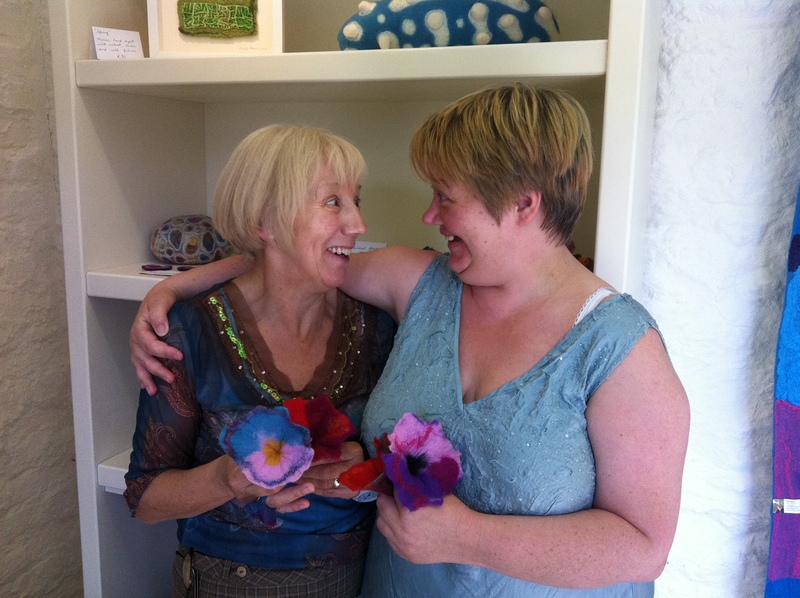 Louise and her mum with the beautiful flowers they felted at Duckett’s Grove during one of my workshops! This entry was posted in Felt, felt workshops, felt, felt flower, Uncategorized and tagged Felt, felt workshop by Nicola. Bookmark the permalink. please let us know how you make the stems and attach them….I’ve been waiting!